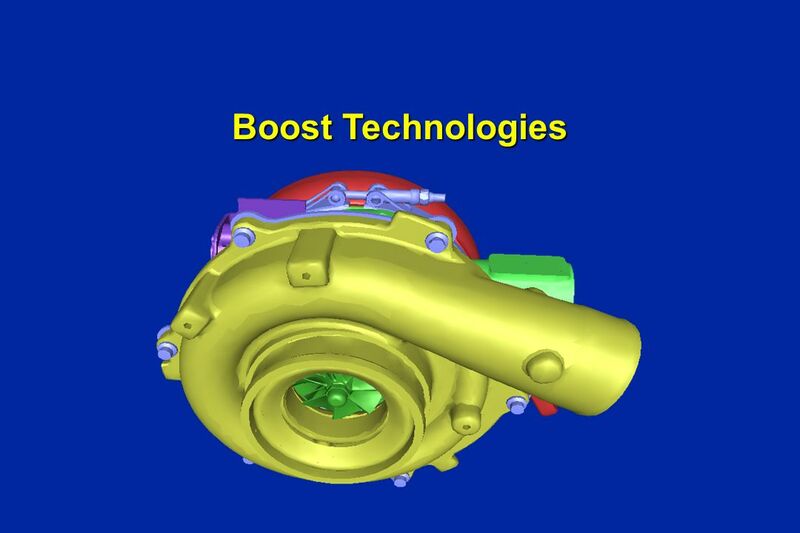 Diesel Engine Technology 2007 and Beyond Diesel Engine Technology 2007 and Beyond Vice President, Chief Technical Officer International Truck and Engine. 11 Soot filter traps all soot particles and hydrocarbon. It needs to burn off the trapped soot particles. 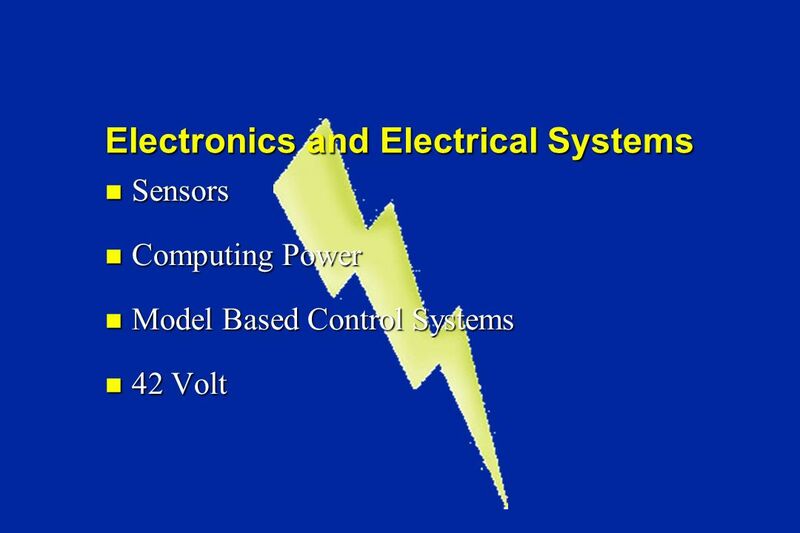 A key measure of its performance is the balance point temperature. 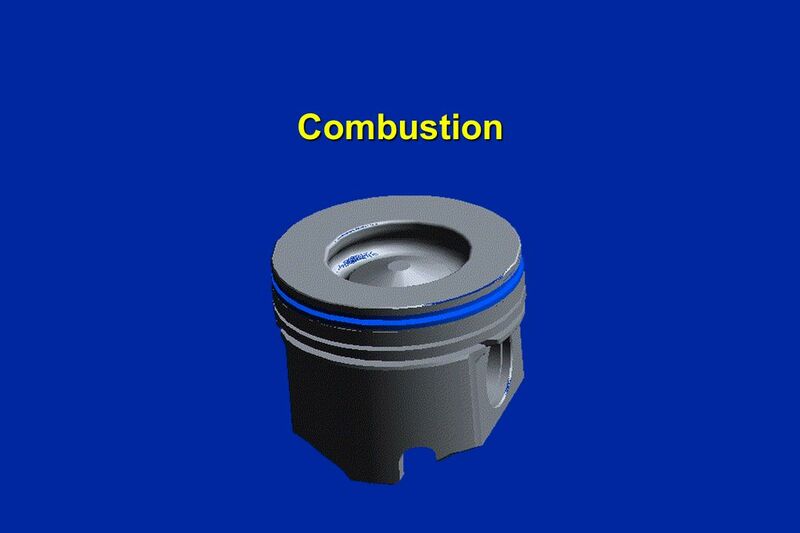 The balance point temperature varies from engine to engine. 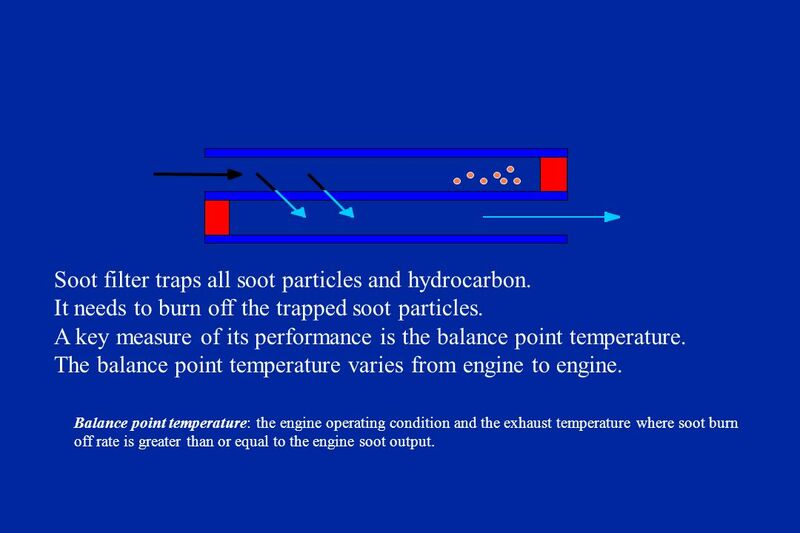 Balance point temperature: the engine operating condition and the exhaust temperature where soot burn off rate is greater than or equal to the engine soot output. 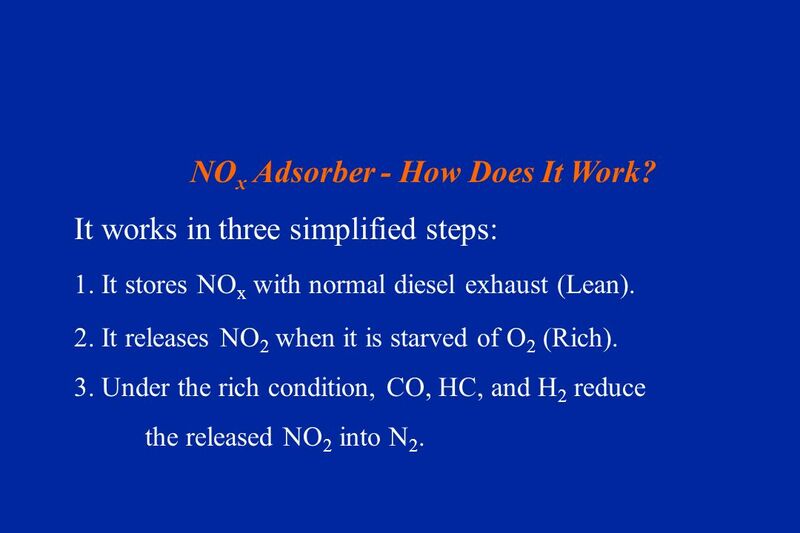 12 NO x Adsorber - How Does It Work? It works in three simplified steps: 1. 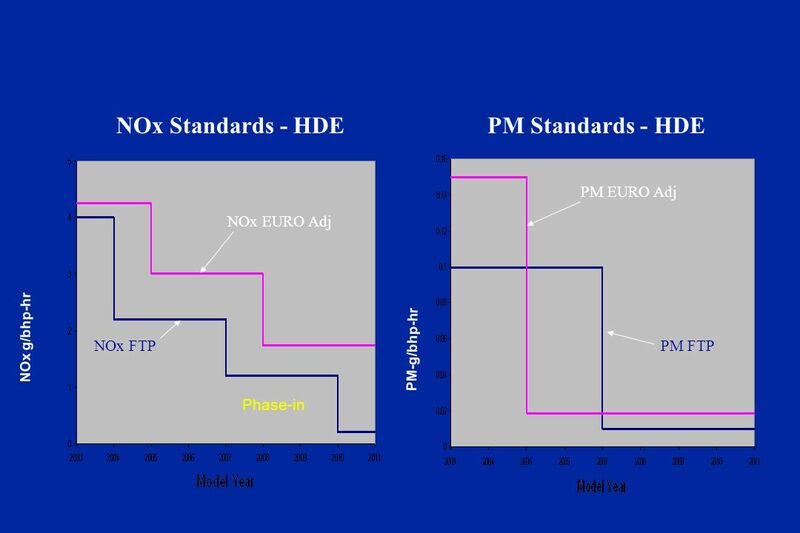 It stores NO x with normal diesel exhaust (Lean). 2. It releases NO 2 when it is starved of O 2 (Rich). 3. 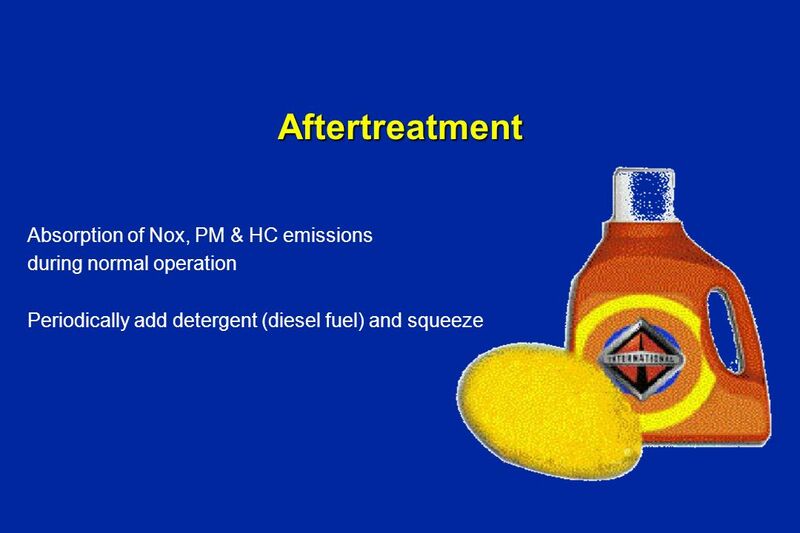 Under the rich condition, CO, HC, and H 2 reduce the released NO 2 into N 2. 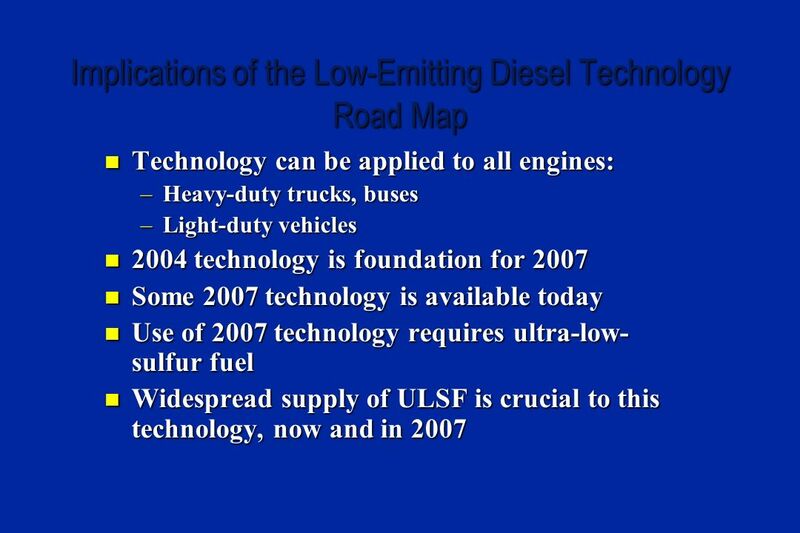 Download ppt "Diesel Engine Technology 2007 and Beyond Diesel Engine Technology 2007 and Beyond Vice President, Chief Technical Officer International Truck and Engine." 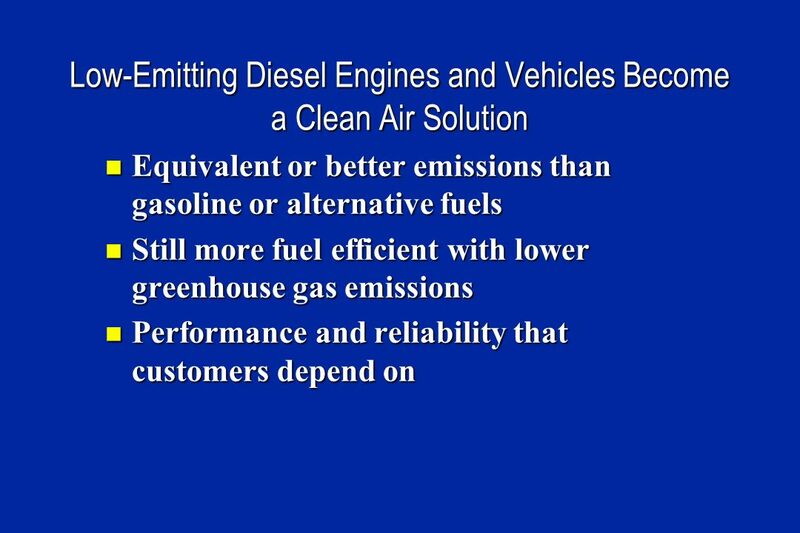 Diesel Engine Emissions Summit June 10, 2003 Phoenix, Arizona Rainer E. Schmueckle President and CEO Freightliner LLC. 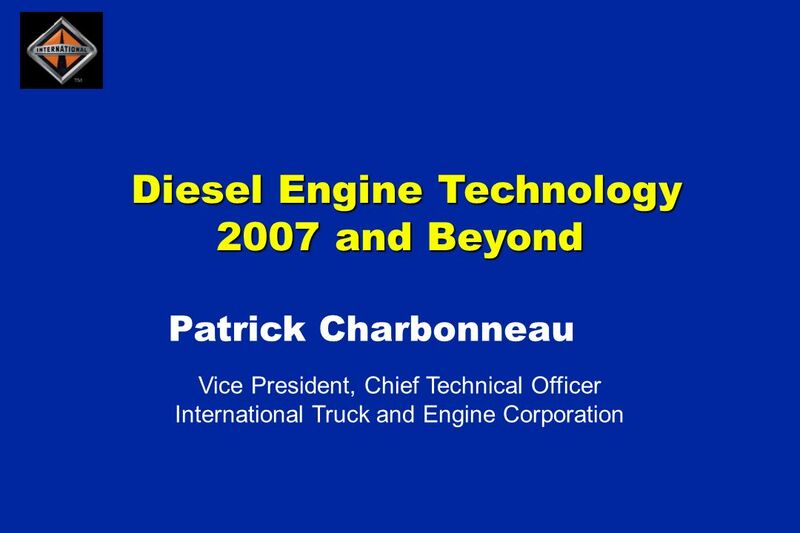 Patrick Charbonneau VP Regulatory and Technology Affairs International Truck and Engine Corporation Diesel Emissions Summit II March 16, 2004. Joe Kubsh, MECA Marty Lassen, Johnson Matthey November 17, 2008 National Caucus of Environmental Legislators Diesel Forum Washington, DC Manufacturers. Diesel Engine Major Monitors l Fuel System l Misfire l EGR System l Boost Pressure Control System California Environmental Protection Agency AIR RESOURCES. 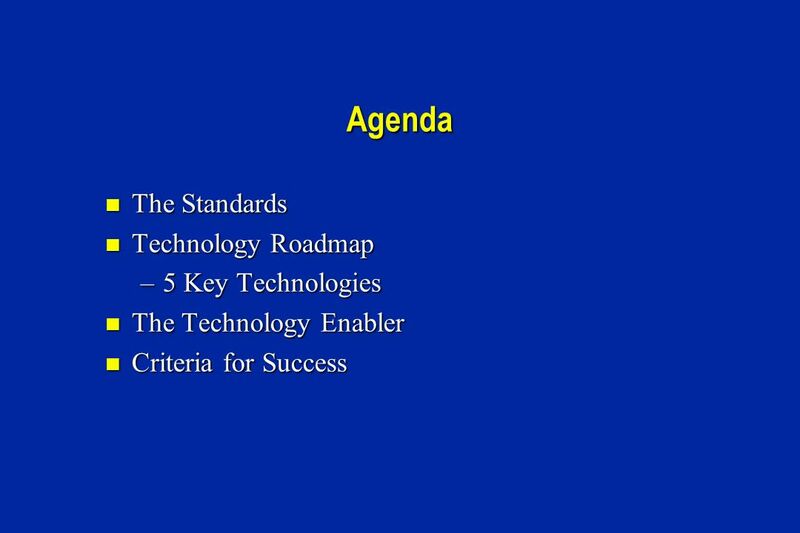 John Campbell Director On-Highway Engine Products March 16, 2004 American Trucking Association Technology & Maintenance Council. Fuels and Emissions: Lessons Learned in the U.S. Lester Wyborny II U.S. Environmental Protection Agency Office of Transportation and Air Quality. 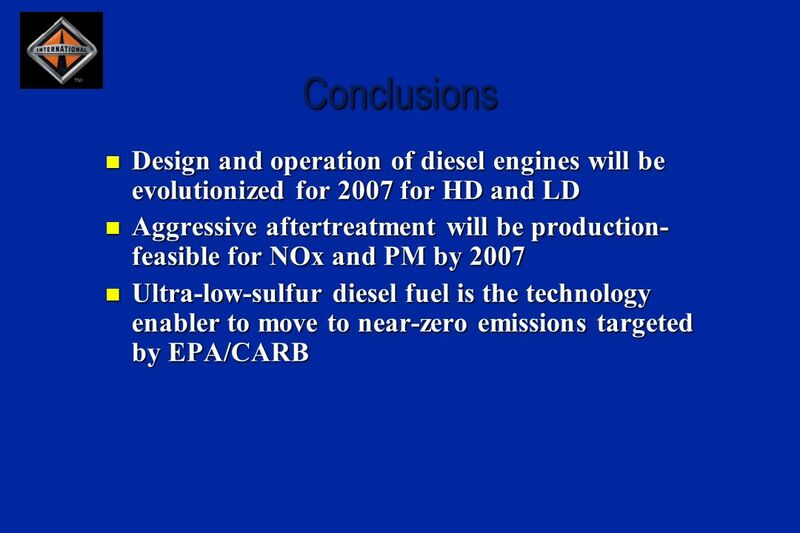 GM Diesel Technology Charles E. Freese V Executive Director, Diesel Engineering General Motors Corporation. 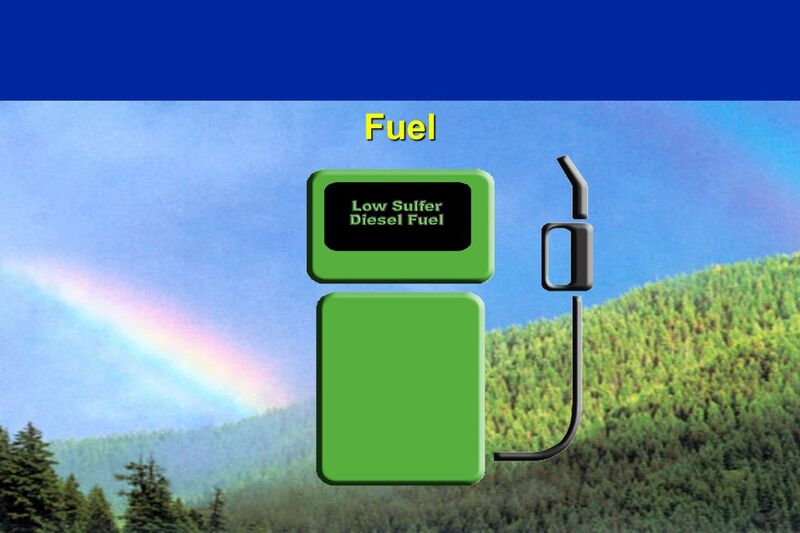 Propane Diesel Injection  An introduction overview of the Powershot Propane Diesel Injection system (PDI) for use in medium and heavy duty vehicles. Mobile Sources. Mobile sources Gasoline car: 4-strokes Diesel car Automobile : 4-strokes, 2-strokes. Robert Tekniepe Clark County Department of Air Quality and Environmental Management Air Quality Forum November 14, 2006 Clean Diesel Strategies. 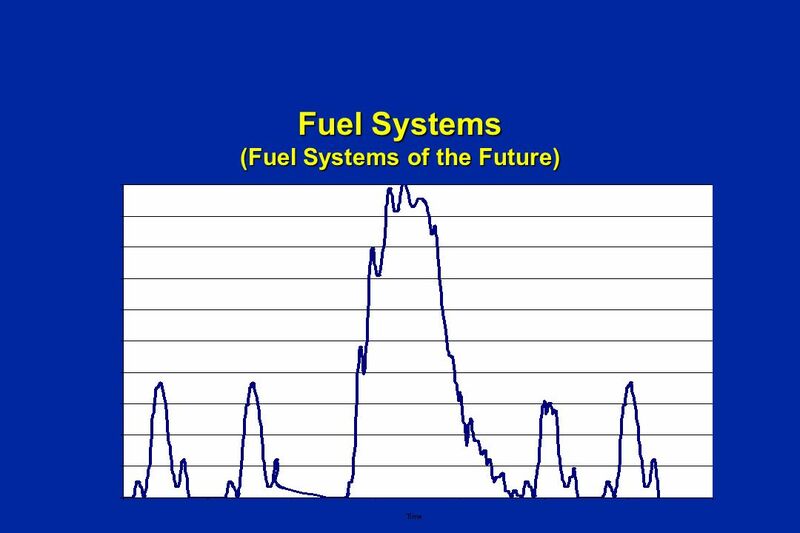 Cleaner, Higher Efficiency Vehicles Using Plasmatrons † Daniel R. Cohn Plasma Science and Fusion Center Massachusetts Institute of Technology Presentation. Alternative Fuels for Transit Buses Institute of Transportation Studies University of California, Davis Marshall Miller UC Davis June 3, 2008. 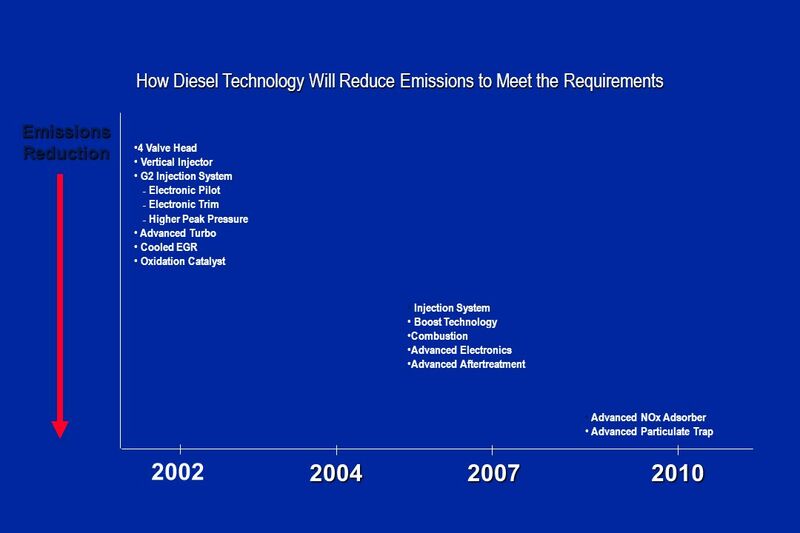 Retrofit Emission Control Technologies for On-Road, Off-Road, and Stationary Diesel Engines Manufacturers of Emission Controls Association May 2000. 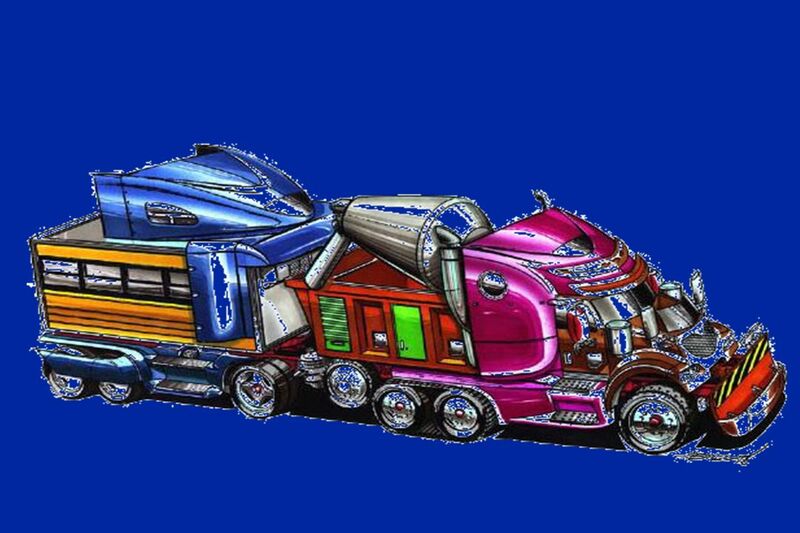 Reducing harmful emissions while protecting Fleet Investment. 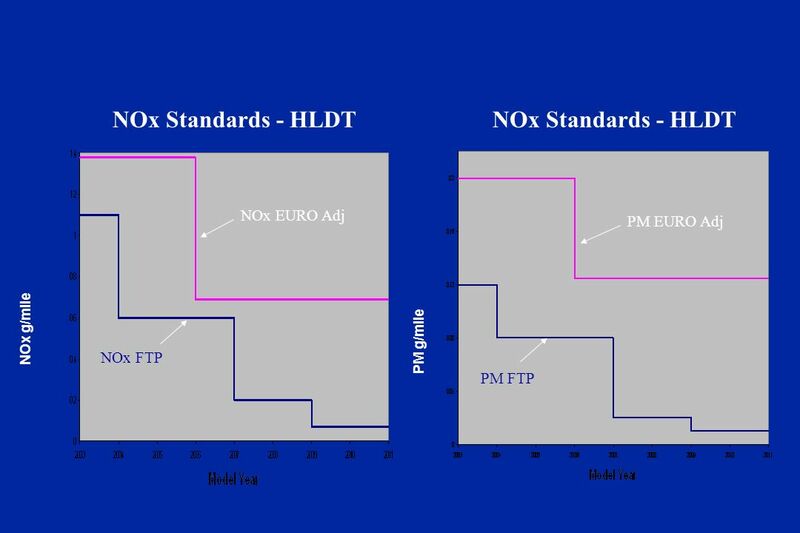 Diesel Exhaust Emissions PM and NOx After treatment. 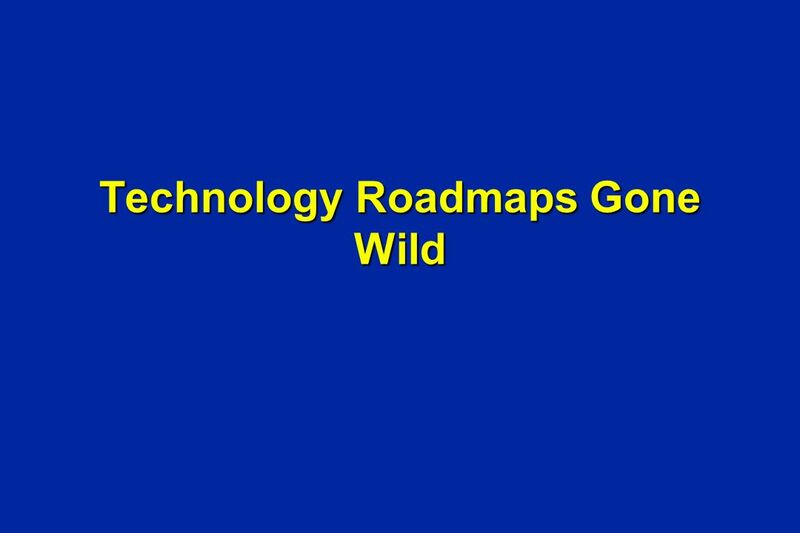 THE ROLE OF RETROFIT TECHNOLOGY IN REDUCING VEHICLE EMISSIONS MAY 2014 Dr RICHARD O’SULLIVAN COMMERCIAL DIRECTOR.